Les Illuminations, a string ensemble made up of students from the Conservatoire National Supérieur de Musique et de Danse de Paris. Here’s a great tip for classical music lovers in Paris, especially impecunious ones: an association called Les Vocations d’Euterpe organizes regular concerts by musicians from France’s top music conservatories with no entrance fees (although donations are requested for the musicians). I have been to many of these concerts and can vouch for their high quality and professionalism. 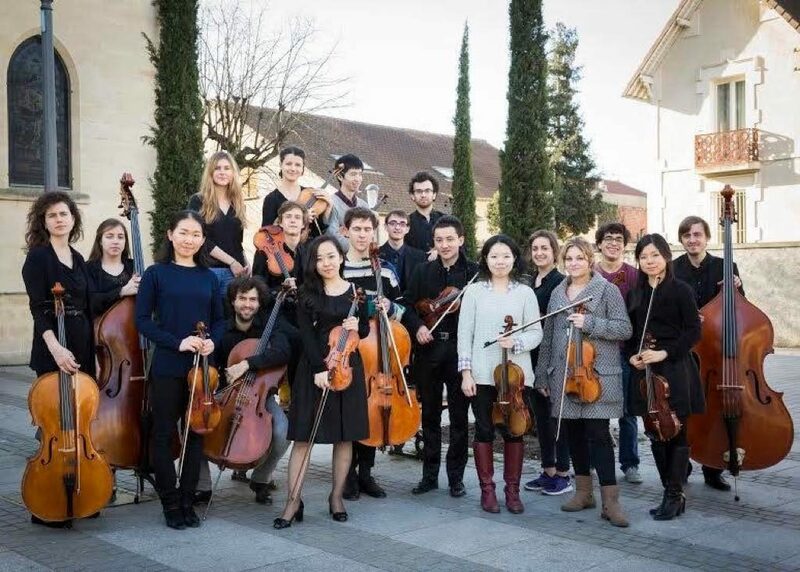 The goal of the association, which began modestly with a concert held in 2000 to bring some life to a Protestant church in Paris, is to promote young musicians starting their careers and give them a chance to perform in public, a requirement for their training. Since then, hundreds of concerts have been held – the upcoming performance of the Quatuor Onslow on May 2 at the Espace Bernanos will be the 500th. Jacques Mary, a former banker and amateur violinist, is the founder and president of Les Vocations d’Euterpe, which was named for the muse of music, in Greek, “giver of delight,” a sobriquet he himself deserves. He points proudly to the distinguished musicians who support the organization and are honorary members – including renowned violinists Gérard Poulet, Patrice Fontanarosa and Philippe Muller. Poulet, also known for his teaching skills, has channeled many young musicians to the association to help them gain experience. Among those who have received such support and gone on to make names for themselves in the music world are violinists Sarah Nemtanu, Déborah Nemtanu and Karin Ato. The concerts are held in various venues around Paris, most of them churches. Last week, thanks to the Vocations d’Euterpe, I discovered a wonderful place in the middle of Paris I had never seen before: the chapel of the 19th-century Lariboisère Hospital, near the Gare du Nord in the 10th arrondissement (see the Photo of the Week on Paris Update’s homepage for a view of the facade and grounds). Since the association has no funds to rent pianos, they are always on the lookout for venues with instruments good enough for their concerts. This chapel is one of them. The association’s website has a wealth of information about its activities and videos of its concerts. Click here for information on upcoming concerts.